Heading to a show or concert at the Orpheum Theatre? Convenient parking is available at the following locations. Click on a location shown in the map below for more information on nearby parking. 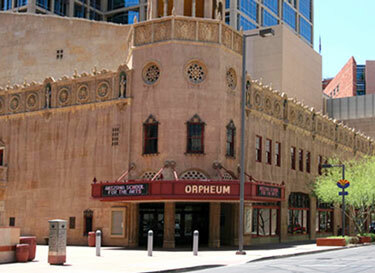 The Orpheum Theatre is a historic arts and entertainment venue located in downtown Phoenix. The 1,364 seat theater is home to the Theatre League's Broadway Series and many national tours and concerts.